Real World Wildlife Products exclusive Expect Healthy Deer Technology® is a real game changer for both captive deer breeders and land managers looking to keep their herds healthy while Maximizing genetics and antler growth. Made from the highest quality all-natural ingredients from around the world, Expect Healthy Deer Technology® provides critical nutrients designed to support a strong immune system, optimum rumen function, gastrointestinal tract function and nutrient utilization. What do these science based benefits mean for your deer herd? – Provides functional nutrients to deer during stressful periods such as disease outbreaks. – Aids in optimum reproductive performance and the production of strong healthy fawns. – Helps maintain feed intake,weight gain and antler growth during climatic stress events, like hot weather. New for 2018 – Expect Healthy Deer Technology® now includes a whitetail-specific direct-fed microbial (probiotic). This patented probiotic is unlike any other probiotic in the world as it was developed exclusively from bacterial cultures obtained from whitetails for the purpose of maximizing nutrient utilization, optimizing the absorption of minerals and vitamins and to help maintain optimal gut health under normal and stressful conditions. Real World has an exclusive agreement with the lab that produces this probiotic which can take your herd health to a new level. What are customers saying about Expect Healthy Deer Technology®? What is the best way to get Expect Healthy Deer Technology® into my deer? A deer needs to consume enough Expect Healthy Deer Technology® to have a real impact on that animal. With captive deer this is easily achieved but with free-ranging wild deer it becomes a bit more challenging. Real World Wildlife Products offers a number of products to help you get Expect Healthy Deer Technology® into your deer. We suggest that you utilize as many of these products as possible and make them readily available to the deer across your entire property. By having numerous mineral licks, feeding stations, etc., it increases the likelihood than an individual animal will regularly consume enough Expect Healthy Deer Technology®. Maximizer Plus Deer Mineral is a great way to give your deer the minerals and vitamins they need while also providing them with Expect Healthy Deer Technology® to help keep them healthy and productive. 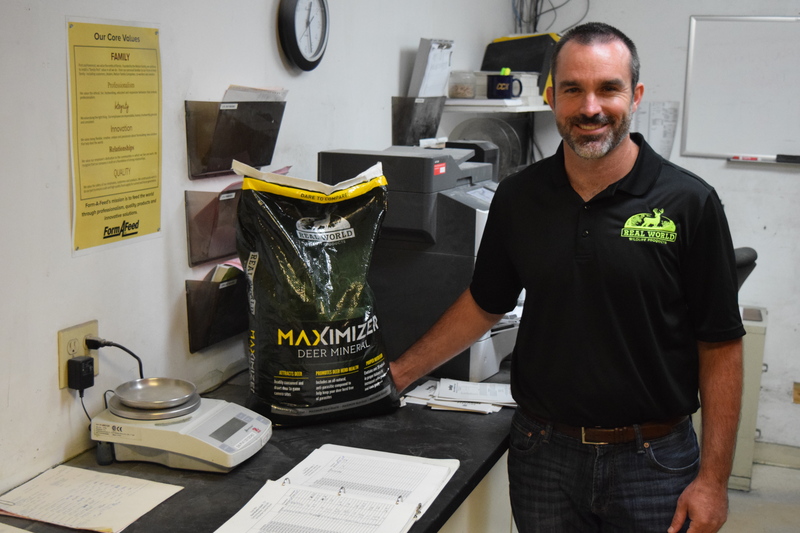 Maximizer Plus Pro-Formula Complete Feed is a ready to use 16% protein, high-fat, complete feed that contains Expect Healthy Deer Technology® and all of the mineral, vitamins and other important nutrients that deer need to stay alive, healthy and productive. If you use an attractant you really need to try this product! 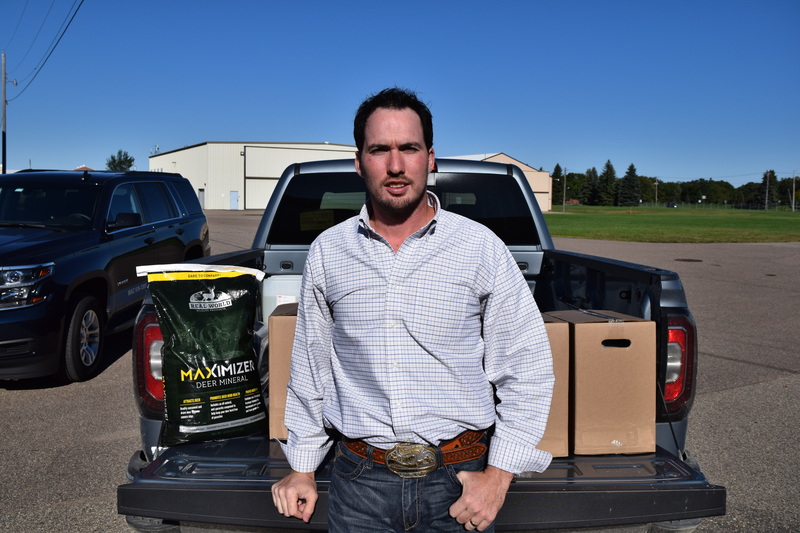 Maximizer Plus Feed Additive comes in meal form. The 20# bags will treat 1 ton of feed to provide the Expect Healthy Deer Technology®. This product is for use in professional feed processing equipment for proper mixing. Do not use this product for hand mixing feed. Should Expect Healthy Deer Technology® products be used year round? Some of the ingredients in Expect Healthy Deer Technology® are commonly used year-round in the livestock industry given the overall health and performance benefits they are believed to offer. Several captive deer farmers are now feeding Expect Healthy Deer Technology® to their animals year-round and seeing noticeable results. Keep in mind that captive deer are already getting scientifically developed diets that are much better than the diets of wild deer. If Expect Healthy Deer Technology® can help captive deer, just imagine how much more impact it can have on wild deer. Dr. Aaron Gaines, Ph.D. and Brent Ratliff, M.S. are two very well respected livestock nutritionists with considerable experience in research and development for the animal nutrition industry. They are also avid deer hunters and the outbreak of Epizootic Hemorrhagic Disease (EHD) in the Midwest in 2012 was the motivation for them to use their knowledge of animal nutrition to develop products that optimize the immune system while maximizing genetics and antler growth. Together they researched and developed a nutritional product including of the latest technologies that they believed could have numerous health and performance benefits for whitetails. They tested their new product known as Expect Healthy Deer Technology® on captive deer herds in Missouri and were amazed at the results. They knew they were on to something but due to their “day jobs” as livestock nutritionists they lacked the resources needed to properly market Expect Healthy Deer Technology®. After a series of meetings and lengthy discussions Real World Wildlife Products secured the rights to this amazing technology. Real World was adamant about doing larger scale testing of the product before bringing it to market. The product has undergone extensive testing every year using captive deer herds so that we could control intake of the product and closely monitor the deer consuming it. These tests have taken place in numerous captive whitetail herds in Texas, Oklahoma, Kansas, Nebraska, Alabama, Pennsylvania, Ohio, Missouri, Iowa, Illinois, Kentucky and Indiana. Again the results were astounding. To further legitimize this new health based product, Real World Wildlife Products brought on board one of the world’s most respected whitetail veterinarians as a consultant in this process. 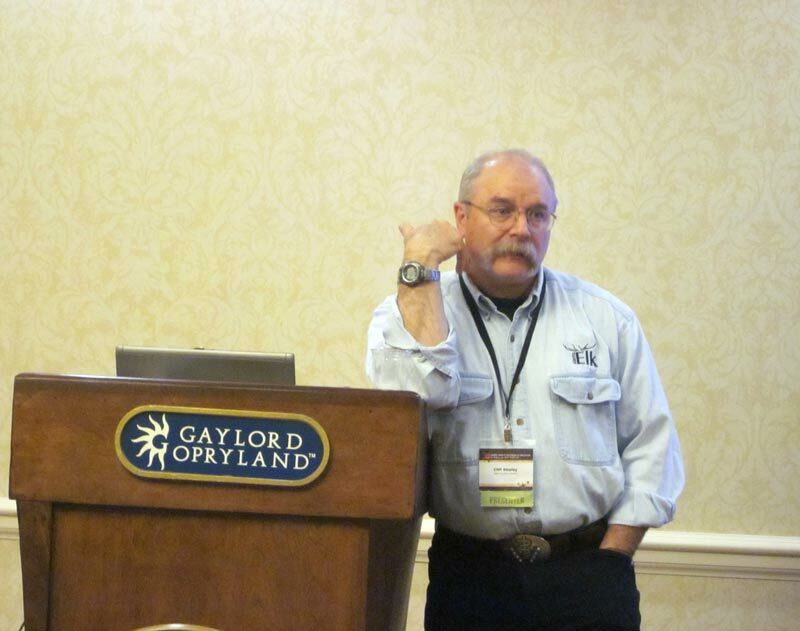 Dr. Clifford Shipley from the University of Illinois is not only feeding Expect Healthy Deer Technology® to his captive whitetails, elk and mule deer, but is advising us as we make decisions regarding technical matters. What is Epizootic Hemorrhagic Disease (EHD)? 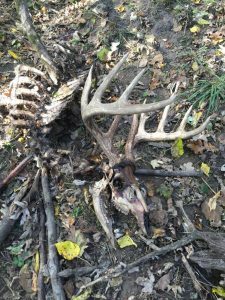 Epizootic Hemorrhagic Disease (EHD) is a hemorrhagic disease caused by an infection of a virus affecting certain species of animals, especially deer, although it can also affect elk and cattle. Death losses in deer from EHD are very high and in localized outbreaks can wipe out a large percentage of a deer herd. The EHD virus is spread by small biting midge gnats and is commonly an issue in the late summer and early fall months. Epizootic Hemorrhagic Disease is sometimes referred to as bluetongue; however this is incorrect. Bluetongue virus is closely related to EHD in terms of being spread by biting midge gnats and has similar clinical signs, but they are technically different diseases. Deer that have contracted EHD typically develop clinical signs as little as 7 days after initial exposure. In general, deer infected with EHD lose their appetite, lose their fear of people, grow weak, show excessive salivation, develop a rapid pulse, have a high respiration rate, show signs of fever which include laying in bodies of water to reduce their body temperature, become unconscious, and have a blue tongue from the lack of oxygen in the blood. 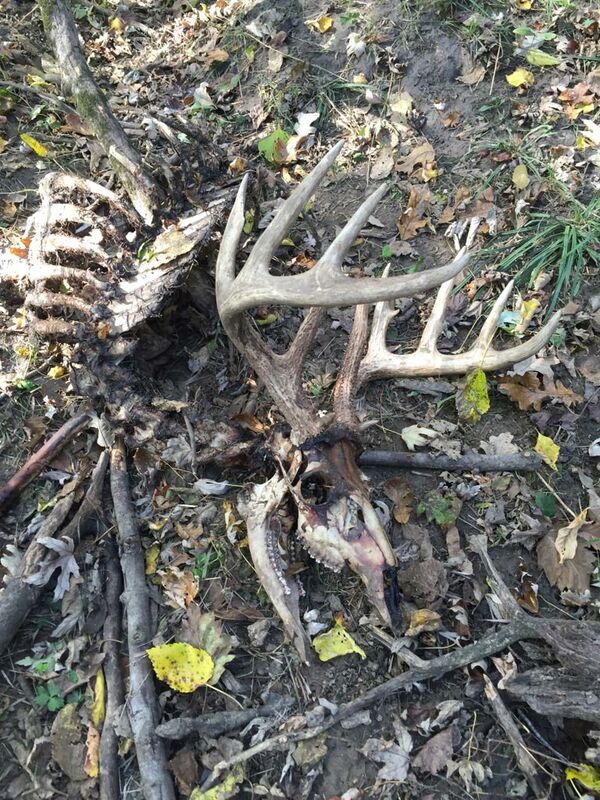 Additionally, the head and neck of infected deer may swell and they may bleed from the mouth and nostrils. Outbreaks of EHD generally end with the first killing frost which kills the midge gnats that carry the virus and infect deer they come in contact with. While Real World Wildlife Products will always strive to bring the highest quality products to market, we will not use deception, lies, or false information to sell them. We fully believe that Expect Healthy Deer Technology® benefits the deer herd based on the scientifically published research on the all-natural ingredients contained in this product and positive results observed with captive deer in our own studies. We also realize that the ultimate challenge is delivering this technology in adequate doses to wild deer on a consistent basis. To help address this important issue we have developed a full line of products that include Expect Healthy Deer Technology®.